FBN’s Jo Ling Kent on Bank of America-Apple Pay glitch that double-charged users. An Apple Pay glitch has affected some Bank of America customers eager to try out Apple’s new mobile payments system. 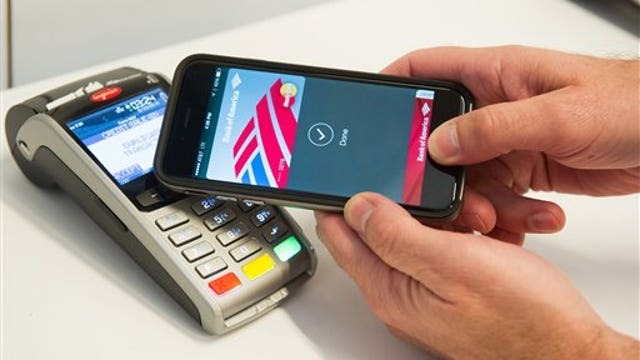 Approximately 1,000 cardholders were double-charged using Apple Pay, said Bank of America spokesperson Tara A. Burke. An Apple spokesperson told FBN’s Jo Ling Kent that Apple Pay was off to an amazing start. Apple Pay launched on Monday. "We&apos;re aware of a Bank of America issue impacting a very small number of Apple Pay users. They&apos;re working on a fix that will be available shortly and reversing any duplicate transactions,” the spokesperson said.